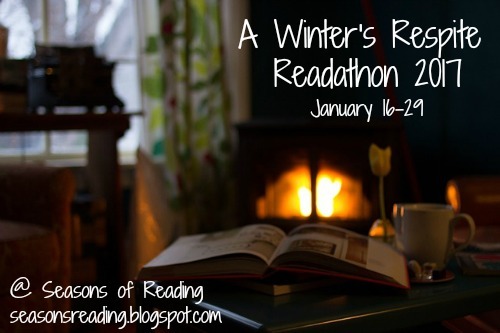 Seasons of Reading: A #WintersRespite #Readathon - It's a wrap! Another readathon has come to an end. I hope everyone enjoyed our new two week format. I know I did! I also hope everyone was able to meet their goals, or at least come close. Up next, we have the Spring into Horror Readathon which will be April 17 - 30. If you have never joined us for this readathon, don't let the word horror scare you away. I only require that one book you read be horror and I don't insist on actual horror (if you're faint-hearted). It can be a thriller, scary mystery, a Gothic novel, paranormal. If you do love the scary, then feel free to read horror for the entire two weeks. Michelle: Thank you for hosting. I didn't read as much as I would have liked but did finish 3 books. 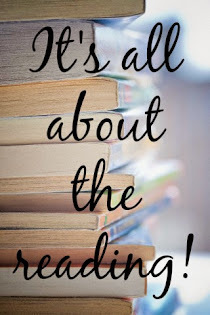 Looking forward to the Spring Read-A-Thon. I finished 4 books, so I'm happy about that! I like the new two-week format. I'm looking forward to Spring Into Horror! Here is the link to my wrap up video. Thank you Michelle for another great readathon. Hi! I didn't read as much as I would have liked. I finished two books and started on another. Thank you for hosting! Ah, spring into horror. Horror is not my usual cup of tea, but maybe I can find something. I like the two week format too. download Amazon's free Horror books. Thanks for all you do with hosting the Read-a-thon. Thank you for hosting! I did terrible! Thank you for hosting! I was able to finish 6 books.